February 19, 2014. New Delhi. It was a pleasure to meet with Mr. Janhwij Sharma, Director of Conservation, Archaeological Survey of India at his office in New Delhi. 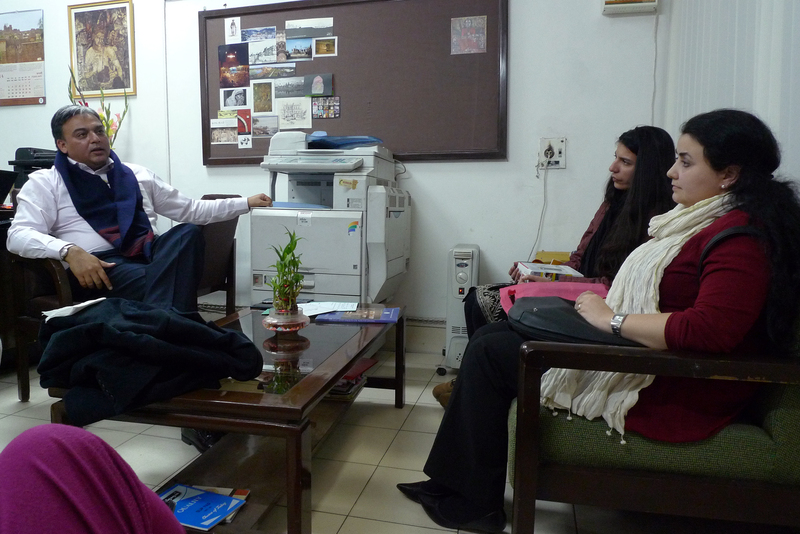 This was the first meeting of our two project architects, Micaela Petricca and Lucia Lupi and our Cultural Research Coordinator, Manleen Sandhu, with the Director in anticipation of the detailed survey, documentation, mapping, material and structural analysis of Qila Sarai, Sultanpur Lodhi that is to be undertaken in order to prepare a detailed project report (DPR). 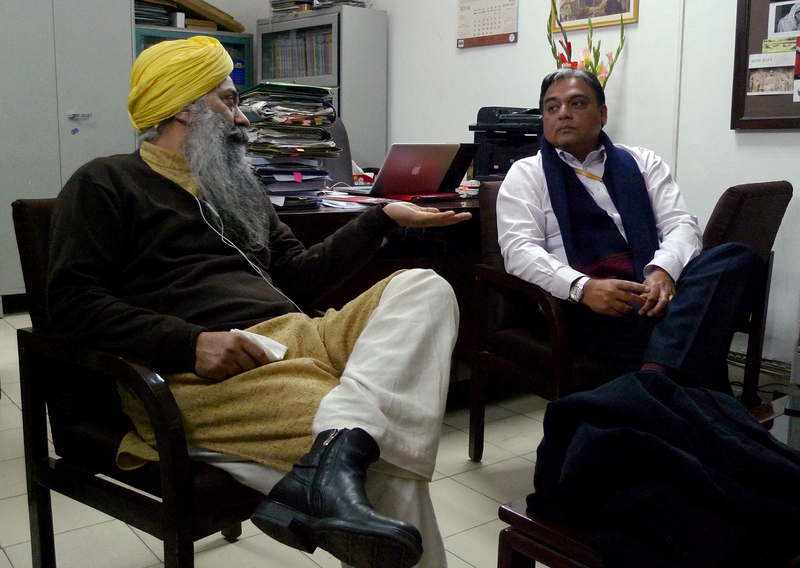 The DPR will be prepared in collaboration with the Department of Architecture, Guru Nanak Dev University, Amritsar. Twelve architecture students from the Department of Architecture have been selected to work with the two project architects who will be residing at the Qila for most of March and April, 2014. This is an exciting time for the Anād Khand project. The level of conservation and architectural analysis currently underway at Qila Sarai is unprecedented in the history of conservation efforts in Punjab in over a century. The survey will run well into April 2014 and all are welcome to visit the Qila, see the work and meet the people behind it!